Obesity is such a harsh word. It may not be as harsh as the words Black Death – a pandemic that hit Europe resulting in the deaths of an estimated 75 to 200 million people in the years 1348–50, but Obesity is a public health crisis of the 21st century that must be addressed immediately. To make this important health alert have more meaning, click on this link . . . BMI and how a BMI of 18.5 to 25 is considered “normal”. . .? and work out your personal BMI index. The obesity epidemic is quickly spreading all over the world. In 2002, up to 500 million people worldwide were overweight. How Did It Suddenly Get Out Of Control? But firstly did you know there are 6 stages to disease according to Ancient medicine . 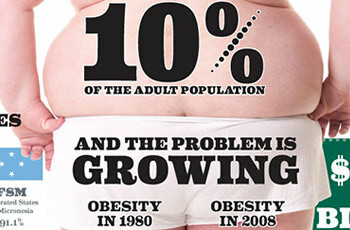 . .
What may be some of the causes of this Obesity Epidemic? Most people will say obesity is caused by eating more than what the body needs and not exercising often.People are not as active as they used to be. They spend more time watching TV or sitting in front of their computers for leisure or work.There are less physical demands because of the advancements in modern technology. (You can always take a cab instead of walking). It only takes those who are not physically active have the tendency to gain more weight because they are not burning the calories from what they eat. Medical conditions. Hormonal problems can lead to obesity. These health conditions can slow down metabolism and make people gain weight. What Are the Effects of the Obesity Epidemic? Increase in transportation costs. An increase in body weight means more fuel needed for machines to run. There is also a possible need for larger vehicles for transportation. Millions will suffer serious health problems if immediate action is not taken. And here’s an Ancient recipe that can help with any fat loss program or health challenge. Our friendly and professional Team can help you to start reversing your ill health and restore youthful wellbeing and vitality once again. From the Team at . . .
P.S. Disclaimer – The information provided does not take into account individual needs of any particular person. When providing this information it is intended as a sharing of knowledge and information from the research. The information provided should not be construed as personal medical advice or instruction and is not intended to replace a one-on-one relationship with a qualified health care professional and is not intended as medical advice. We encourage you to make your own health care decisions based upon your research and in partnership with a qualified health care professional. Next Do you know your B.M.I.? – Calculate Your BMI Here!